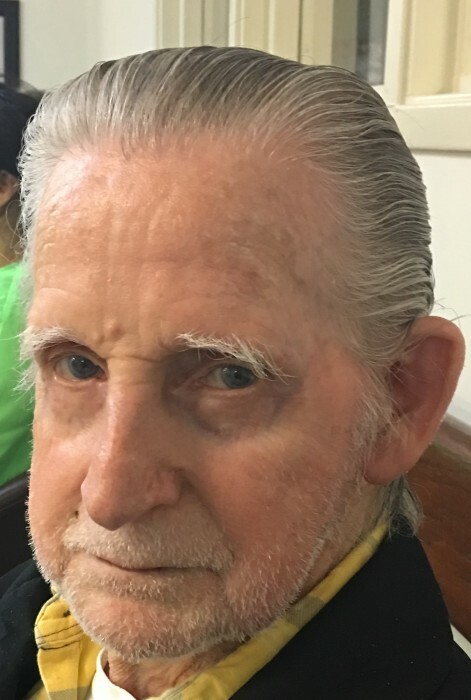 Clarence Lewis Brewer, age 84, of Sanford, NC, passed away Sunday, January 27, 2019. He was born in Lee County on September 9, 1934 to the late Hugh Brewer, Sr. and Ollie Martindale Olander. In addition to his parents, he was preceded in death by a sister, Mary Ethel Payette; brothers, Hugh Brewer, Jr. and Winslow Brewer. He worked many years as a painter. He is survived by half-brother, Frankie Lynn Brewer and wife, Daphne of Sanford; half-sisters, Carolyn Brewer Fallin and husband, Charlie of Sanford and Phyllis Brewer McDowell of Sanford and nieces and nephews. The family will receive friends Thursday, January 31, 2019 from 12:00 PM to 1:00 PM at Sanford Church of God. The funeral service will follow at 1:00 PM with Rev. Thomas Snuffer officiating. Burial will follow in Carbonton United Methodist Church Cemetery.